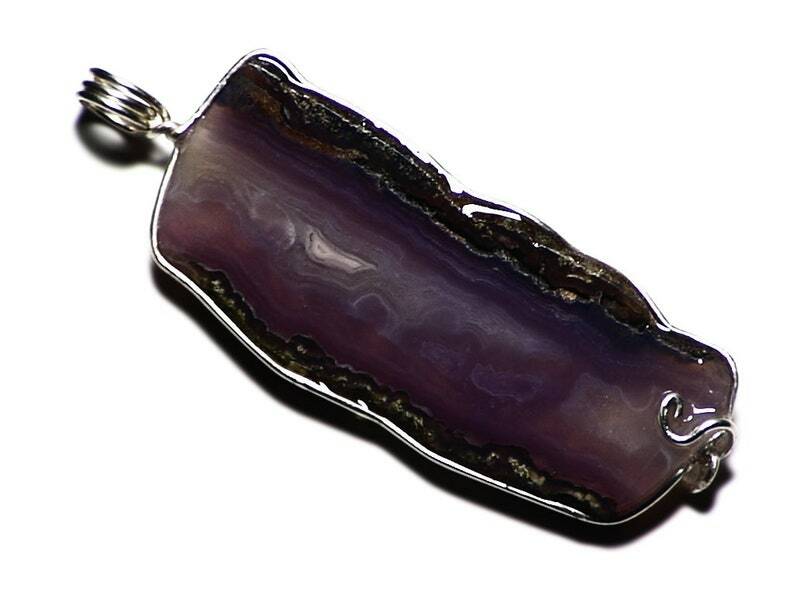 This pendant features a natural polished slice of purple royal Aztec lace agate. 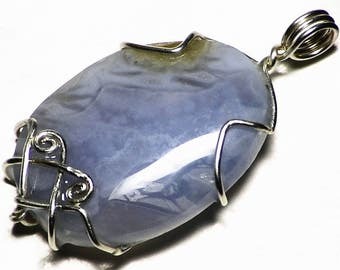 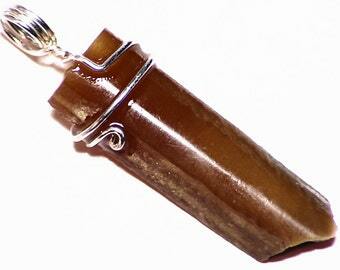 The stone measures 1.80 x 0.76 inches (45.8 x 19.3 mm) and is set in sterling silver wire. 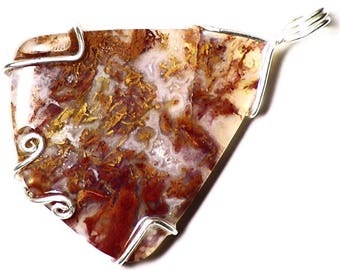 Agate is a gemstone which has been used since the most ancient reaches of human history, first as a material to make tools and later as a gemstone. 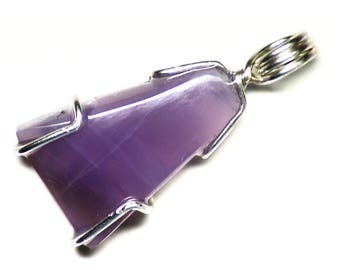 It was a popular jewelry stone in a variety of ancient cultures, often used for carvings and seals, both because it is tough and easy to work and also because of its great beauty. 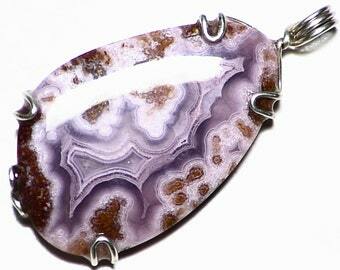 Royal Aztec Lace Agate is famous for its rich purple color, which is rare in natural agates. 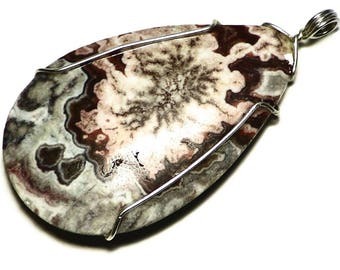 This stone is a particularly nice example, with rich coloration and beautiful banded patterning. 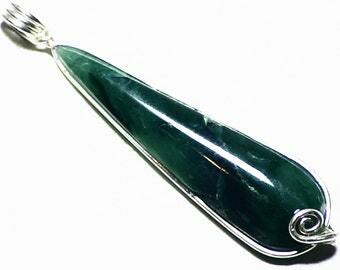 This piece has been sliced and flat-polished, maintaining the natural edges of the stone. 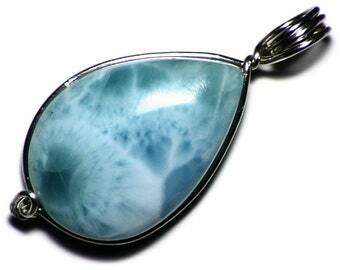 This cabochon was cut for us by Lenny Samuelson of JBDJewelry. 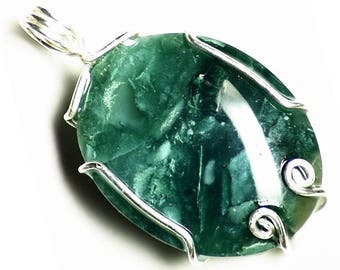 Like every one of the stones he cuts, it is a unique work of art with the best possible polish. 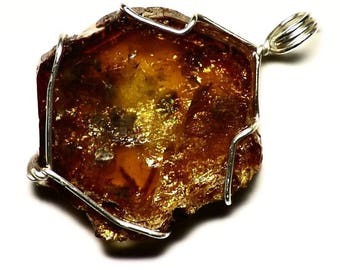 You can see his cabochons and his wife Deloris's jewelry at lennysrockshop.etsy.com and jbdjewelry.etsy.com .